Why does the windscreen not break down in case of damage? Where exactly is the window damage located? Are the costs of a windscreen replacement of a MAN really high? The German automobile brand MAN manufactures trucks, buses, buses, diesel engines, turbines and many other industrial machines. 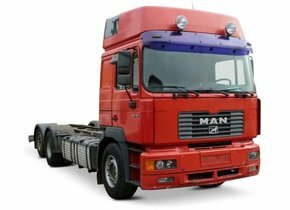 The MAN car brand is still regarded today as the absolute pioneer of trucks. 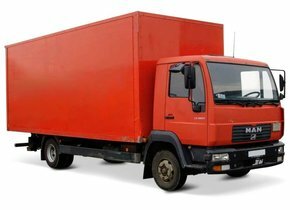 It is therefore not so strange that the majority of lorries circulating in the Netherlands come from this brand. 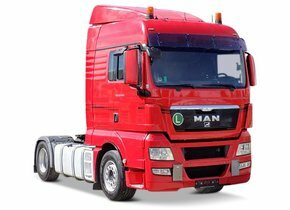 Some of the MAN trucks on the market can be found in particular the MAN TGX, MAN TGM and MAN TGL. In terms of buses of the MAN brand, we distinguish the Scout, Caetano and Lion's City versions. Are you also the owner of an MAN vehicle, but have you suffered damage to the windscreen? Would you like to have this damage repaired as soon as possible? Then it is definitely a very interesting choice to outsource the windscreen replacement of your MAN to Autoglas Concurrent! When damage to your MAN windscreen occurs, you will notice that it is always in the shape of an asterisk or a big crack. This is because the windscreen of your MAN consists of laminated glass. The glass in question consists of multiple layers with a layer of PVB film in between. This type of plastic has an adhesive effect on both sides, so that in the event of breakage the glass cannot simply fly around. The glass is well held together, so that actually a crack will occur. The result is a star that may appear innocent at first sight or burst that may have some unpleasant consequences. In principle, a windscreen replacement of a MAN does not always have to be done immediately. In this respect, it is important to look at the location where the window damage appeared. In particular, in order to avoid disapproval of the MOT, it is always important to check whether the damage will adversely affect the driver's view of the road or not. If the answer to this question is yes, then the windscreen replacement of your MAN is the best thing you can do. If the window damage is not at all in the driver's field of vision, which means that the driver does not experience any inconvenience while driving, replacement may be delayed for a while. Keep in mind, however, that a simple asterisk can quickly become much bigger due to a small shock, with all the possible consequences this entails. Many people are deterred from a windscreen replacment of an MAN by a professional because they fear sky-high costs. However, this fear is not always justified. However, it is important to take into account the fact that two different types of car windows can be found on the market. In this respect, we make a distinction between an original car window and an after market copy. Choosing original automotive glass ensures that you can count on the presence of a brand logo, but it also considerably increases the price payable. Contrary to what many people suspect, the presence of this logo does not provide any qualitative added value at all, on the contrary. Both the factory and the production process of both car windows are exactly the same. The windscreen replacement of a MAN by using after-market automotive glass always gives you a very interesting financial advantage. Unlike original automotive glass with a brand logo, they may be sold by anyone. If you still wish to purchase an original car window, you can only call on an authorised dealer for this purpose. In any case, the car windows offered by Autoglas Concurrent are produced according to the strictest quality standards, which ensures that you are always assured of the best value for money. A windscreen replacement of the MAN is of course always preferred to be outsourced to a party that can offer you the best service in combination with the most optimal end result. The windscreen replacement of your MAN outsource to Autoglas Concurrent ensures that you are assured of many interesting benefits. Not only can this be done with us at the lowest possible price, but it is also always one of our certified partners who takes care of the replacement. An efficient and extremely high-quality way of working is also guaranteed in this way. All this ensures that the windscreen replacement of your MAN outsourcing to Autoglas Concurrent is always an excellent idea!